Daniel Nodel was born in 1968 in Minsk. He received his first violin instruction at the Special School for Musically Gifted Children in his native city. After immigrating to Germany in 1980 he took lessons from Irina Goldstein and studied with Jens Ellermann in Hanover and his father, Roman Nodel, as well as with Josef Gingold at Indiana University in Bloomington, Indiana. He won several prizes at “Jugend musiziert” and the “Rodolfo Lipizer” Competition in Gorizia, Italy, and received a scholarship from the Study Foundation of the German People and from DAAD, the German Academic Exchange Service. He received further musical impulses from Dorothy deLay, Ruggiero Ricci, Felix Andrievsky and Walter Trampler (viola). From 1993 to 1998 Daniel Nodel was a member of the Pittsburgh Symphony Orchestra. He then moved on to the Symphonieorchester des Bayerischen Rundfunks. 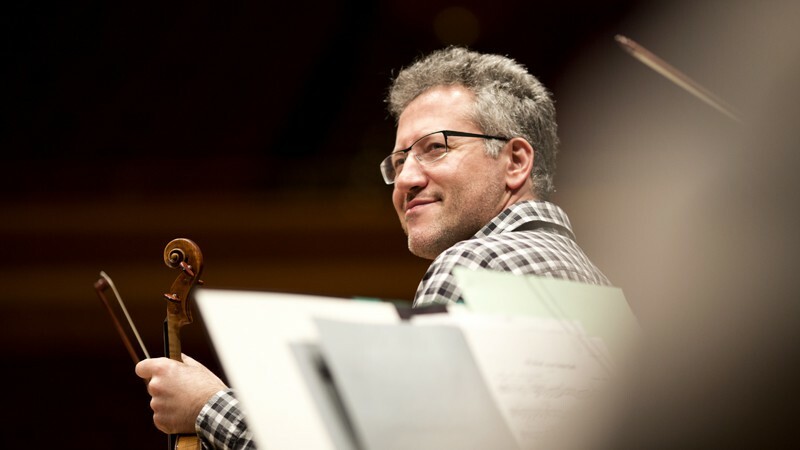 As a soloist and chamber musician he has appeared in several European countries as well as the United States, among others with the Minsk Philharmonic Orchestra and the Pittsburgh Symphony Orchestra. He is also on the faculty of the Bavarian State Youth Orchestra and plays first violin in the Wanderer Quartet.